2019 CSA early signups are open now. Join the Ambrosia Farmily to enjoy fresh produce all season! Ambrosia Farm is a small-scale market farm just 4 miles South of Downtown Veneta, located at the base of Sarver Winery off Central Road. Ambrosia Farm follows certified organic growing practices, though we do not maintain any certifications. Our farming methods use permanent raised beds, minimum tillage, crop rotation, cover cropping, and high succession plantings. We sell primarily through our CSA program, two farmers markets and online preorders. 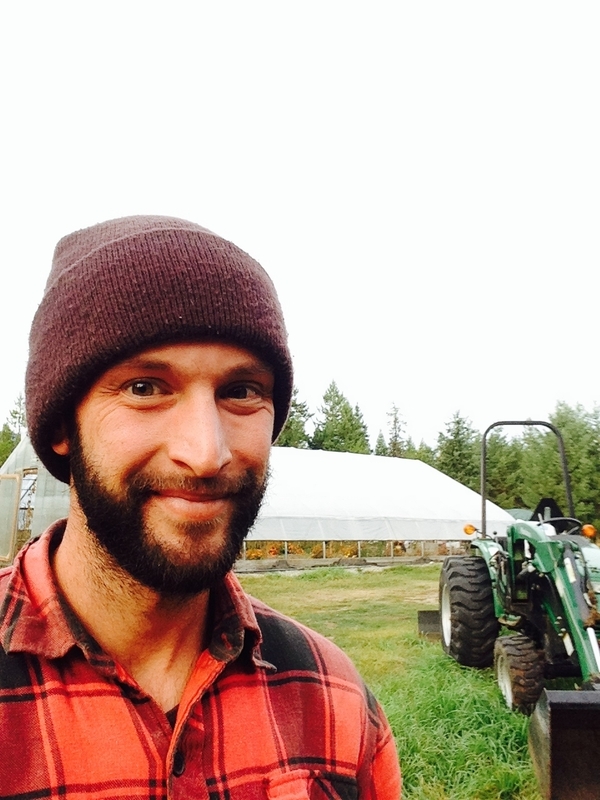 Brandon Huff and Phaedra Jackson are Veneta's local farmers. We have a great presence in the community and value the connection with our friends and neighbors that local agriculture provides. Growing food in the Willamette Valley, with its mild weather and all year around growing season, allows us to stay constantly in production. Supporting our small family farm allows us to continue providing local food access to the Fern Ridge and Florence areas. Community Supported Agricuture is a way for you to have a direct relationship with your local farmer. A household receives a weekly basket of vegetables through a membership purchased at the beginning of the season. Joining the CSA program guarantees you a constant supply of fresh produce all season at a discounted price. Produce will always be harvested at peak freshness, guaranteeing you best nutrition. CSA baskets will always include weekly newsletters with storage tips and recipes.